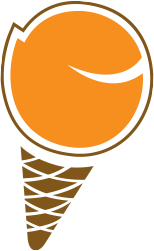 Hotel gelato is the creation of dan hoffman and christopher borowski, its two dynamic proprietors. As veterans of the luxury hotel industry, they bring their experience and passion for exceptional guest service to their unique, beautiful establishment. The partners are very hands-on in the day-to-day operations. 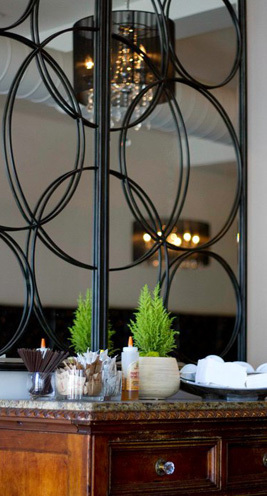 You’ll see them cleaning tables, serving gelato, making cappuccinos and more. Come in and say hello! 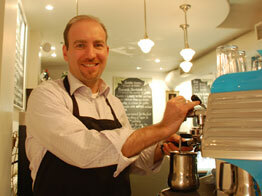 Dan started off his career in the food industry with a job at Canada’s Wonderland. He has worked as a host for the Toronto Star’s private skybox at the Rogers Centre (formerly Skydome), and has worked for several major hotel chains including Marriott, Hyatt and Westin, where his many service and leadership roles culminated in a position as Assistant Chef Concierge at the luxury Windsor Arms Hotel in Toronto. Dan is a former member of Les Clefs d’Or, an international association of professional Concierge. He is also a certified nutritional practitioner (CNP), and continues to actively learn about nutritional advancements. Christopher has spent his career managing five-star hotel restaurants and directing hotel catering services for luxury brands such as Four Seasons Hotels and Resorts, Hilton International and Sutton Place Hotels. Before opening Hotel Gelato, he was the director of food and beverage operations at a luxury hotel in Toronto, with food and beverage sales of over $7 million a year. Christopher is a graduate of the chef training program at Algonquin College and the hospitality management program at Centennial College. 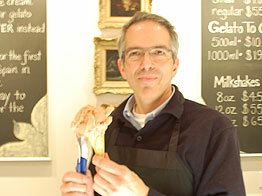 He has also completed the Ice Cream Technology course at the University of Guelph.